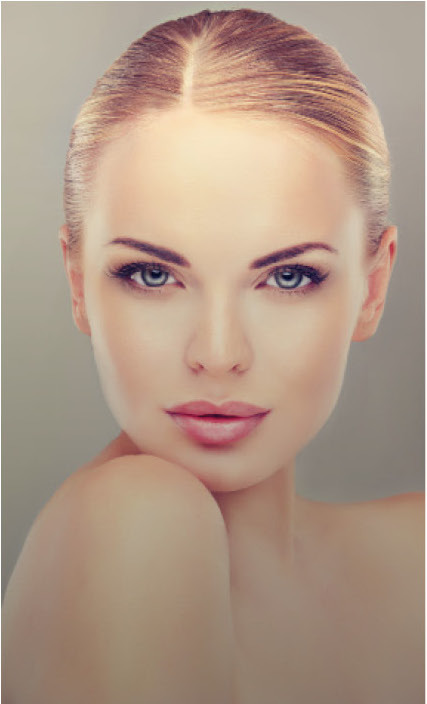 Patients come to Dr. O’Neill for wrinkle fillers for more than just a more youthful, radiant appearance. Fillers can be used to plump thin lips, enhance shallow contours, and improve the appearance of recessed scars. Unlike the BOTOX Cosmetic treatment, which temporarily paralyzes tiny muscles in the face, releasing tension that causes lines, fillers replace lost volume. Wrinkle fillers may provide a longer-lasting result depending upon the product used. A pharmaceutical filler substance of your own fat is injected below the skin to fill out empty areas and creases, or give volume to lips and backs of the hands. Fat is usually procured from the inner thigh areas or abdomen. Swelling should dissipate in 2-5 days, or 1-2 weeks with fat injections. This procedure produces temporary results, lasting a few months to several years or more, based on the filler used, treatment site and individual patient factors. Some products may be permanent. Dr. O’Neill currently offers Sculptra, Radiesse, Restylane® and Juvederm™ Injectable Gel wrinkle filler products. Each product offers unique benefits. Juvederm VOLUMA is a product used to go beyond the filling of fine lines. It provides volume in specific areas, like in the cheeks and chin. Restylane® provides a smoother, more youthful appearance for up to six months, and can be repeated as necessary. Sculptra® Aesthetic is indicated for the correction of shallow to deep fold lines and other fine lines and wrinkles. It gradually replaces collagen lost to the aging process. RADIESSE® is a manufactured dermal filler used to add volume to the skin, filling in wrinkles and folds for a smoother appearance. As with any procedure, there are risks of complication. Dr. O’Neill will discuss your personal medical history and any risk factors you might face. Carefully following pre and post procedural instructions is the best way to avoid complications. Depending upon the product used in your procedure and the extent of the area treated, bruising and swelling can appear for a week to ten days. Normal activity can be resumed in 24-48 hours. With fat-based filler injections, the downtime may be longer.